By Melissa Lennig on April 18, 2016 1 Comment. This content contains affiliate links. As an Amazon Associate I earn from qualifying purchases. 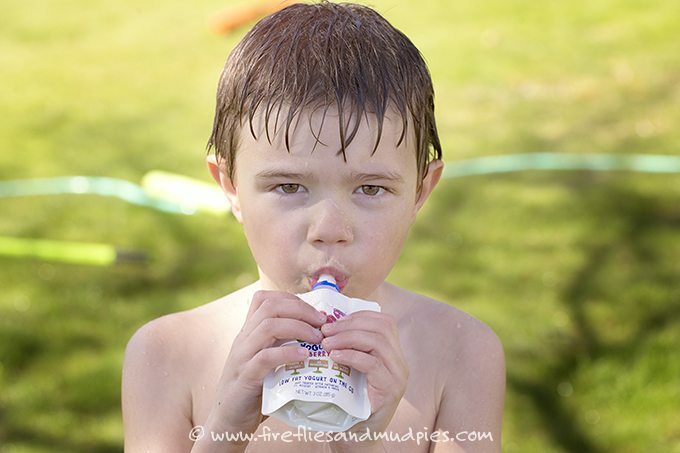 Are your kids gearing up for a full summer of outdoor water play? 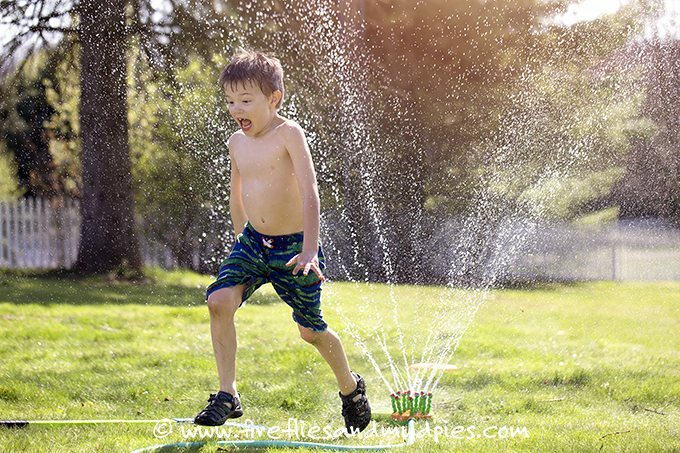 My boys love to play in the water, so I’m always on the lookout for new games, DIY water toys, and simple experiments to keep water play fresh and exciting. 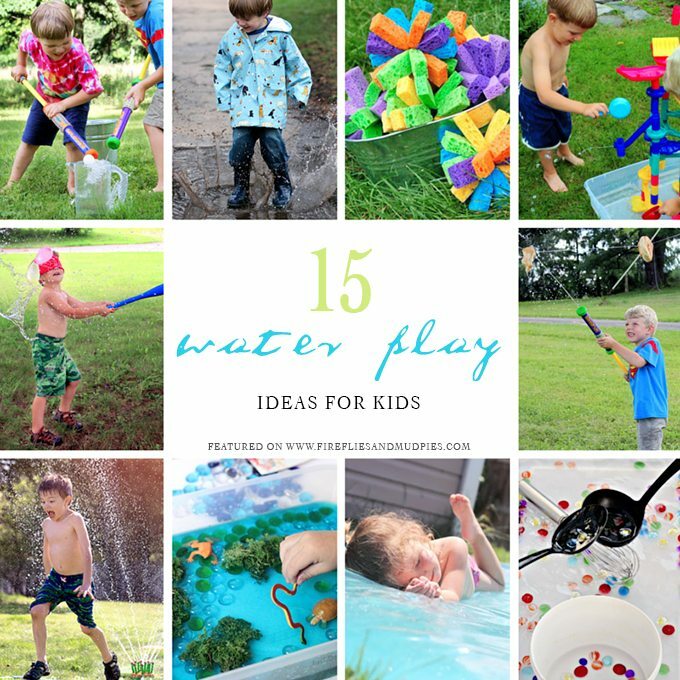 Shared below are 15 cool water play ideas for kids. My children spent this past weekend hopping in and out of the sprinkler. I adore this kind of wild, free, backyard play! But of course, good old fashioned outdoor play brings on hunger! Thank goodness for GoGo squeeZ YogurtZ. Real, scrumptious yogurt and fruit with no artificial anything. And on top of that, the pouches can be stored at room temperature until opening. It’s an easy snack to toss near the towels and water bottles so the kids can help themselves. 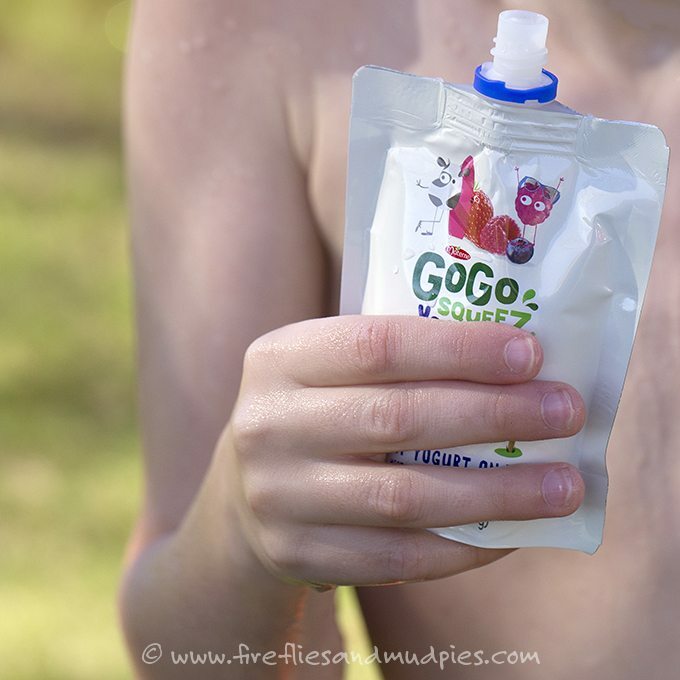 GoGo squeeZ makes it easy for kids to fuel up fast and get back to the business of playing. Speaking of play, shared below are 15 creative ways for kids to play with water this summer. I just know your children will enjoy them as much as mine have! Play a game of Water Balloon Bash. Kids will get a kick out of blasting hamburger buns off the clothesline with water. Turn your marble run into a splashy sensory experience! Make soap boats that really float! Build an outdoor water wall for kids. Spend an afternoon at the town pool. Go on a rainy day puddle walk. Inspire imagination with a simple pond small world. Conduct a science experiment with a water-filled baggie and pencil. Preschoolers will love sorting colors and learning letters with this colorful ABC Water Bin. Dye wildflowers with colored water! Kids won’t want to stop playing with these incredible DIY Sponge Bombs! I don’t know about the kids, but I sure want to relax in the sun on a giant water blob. For more summer play ideas, follow along on Pinterest! 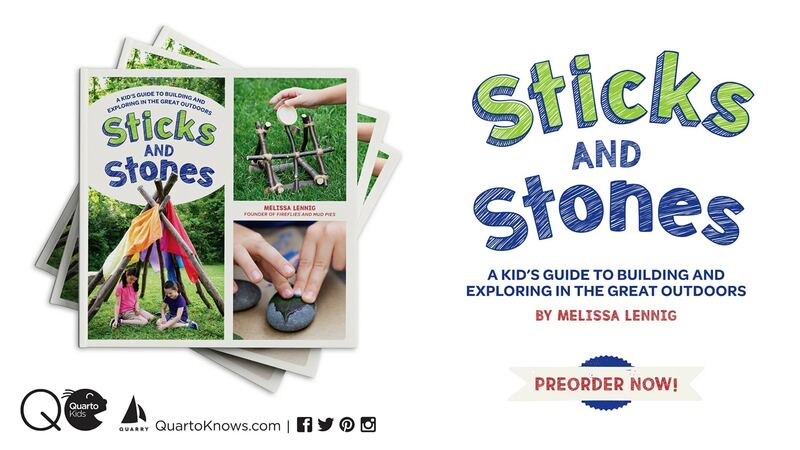 Follow Fireflies and Mud Pies’s board Summer Crafts and Activities on Pinterest. These ideas are all excellent! 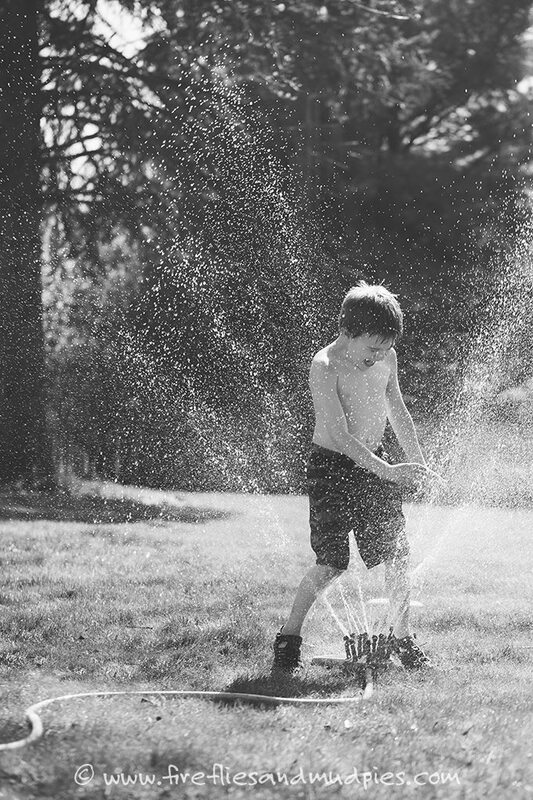 Summer is a great time to be a kid, and playing with water always promises a fun time! The pictures of your kids are great; they look like they are really enjoying themselves! Thanks so much for sharing!